Canon has today announced the latest instalment in its acclaimed PowerShot G series of advanced compacts – the PowerShot G1 X. The latest iteration arrives with a completely new sensor and promises to ‘redefine the performance achievable from a compact camera’, according to Canon. The Canon PowerShot G1 X’s headline-grabbing feature is no doubt the model’s sensor. It’s the first Canon compact to feature a 4:3 aspect 14.3MP CMOS sensor measuring 18.7 x 14mm – a height which is similar to the APS-C size used within EOS DSLRs. The G1 X’s sensor features the same pixel size and structure as the EOS 600D, and as a result boasts a sensor surface area approximately 6.3 times larger than that found in the PowerShot G12. This increase in sensor size will offer benefits including greater control over depth of field and improve dynamic range, again according to Canon. The PowerShot G1 X benefits from a host of technologies developed within the manufacturer’s EOS range. The model benefits features on-chip noise reduction for better high ISO performance, whilst a 4-channel read-out offers high-speed image capture. The sensor of the G1 X is combined with Canon’s DIGIC 5 processor and HS system to deliver an ISO range of 100 to 12800 at full resolution – the latter being a level never seen before in a Canon compact. The DIGIC 5 processor also facilitates a high-speed Burst HQ mode, capturing six full-resolution shots at 4.5fps, or continuously at 1.9fps to the capacity of your memory card. 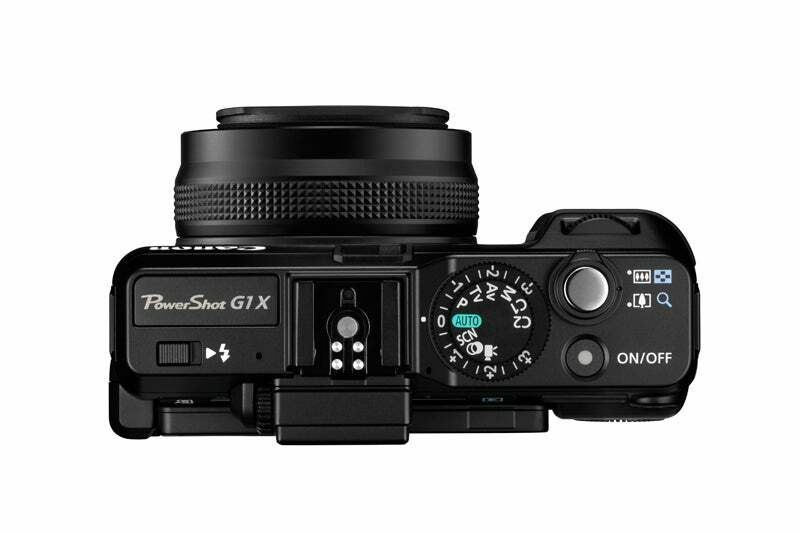 Outside of the headline-grabbing sensor development, a lot of the Canon PowerShot G1 X will be familiar to those acquainted with the PowerShot G series to date. The G1 X features a 4x optical zoom covering a focal range of 28-112mm, comprising of Ultra high refractive index Aspherical elements, which is itself supported by a 4-stop image stabiliser. The Canon PowerShot G1 X also features a 3in vari-angle PureColor II VA LCD screen, with a resolution of 920k-dots, for flexible framing and image capture, while the optical viewfinder found on previous models also remains. The G1 X also retains the extensive manual control interface as seen on previous G series models, as well as full HD 1080p video capture and 14-bit Raw capture. As well as full PASM shooting, the G1 X now also features several advanced shooting modes. Handheld Night Scene is one of these – combining a series of shots to produce one well-exposed image in low light conditions – as is the new HDR capture mode. The Canon PowerShot G1 X is compatible with a range of EOS system accessories, which will be good news to those whole are already bought in with a DSLR – EX Speedlites can be used with the G1 X, for example – although Canon has also created a range of accessories specifically for the G1 X. 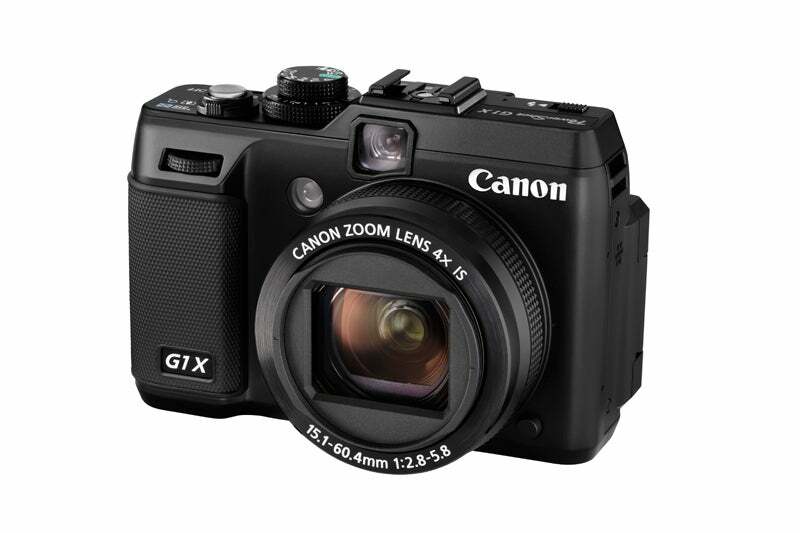 The Canon PowerShot G1 X will be on sale towards the end of February and will feature an RRP of £699. Our team over at CES in Las Vegas are hoping to get their hands on the G1 X, so stay tuned for more information on what they think of Canon’s latest PowerShot G series addition.